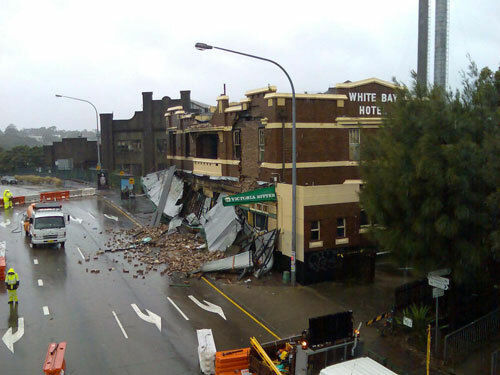 The Fall of the Bar  The White Bay Hotel Destroyed! 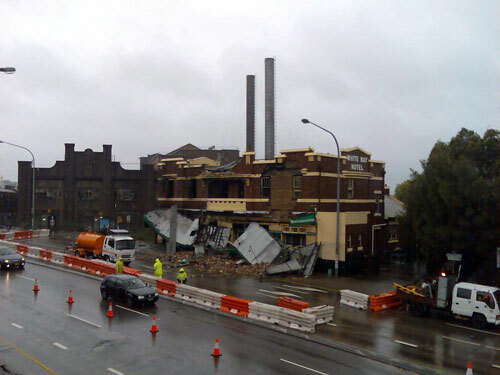 The evening of Friday 5 September 2008 was a sad day for Sydneys heritage. 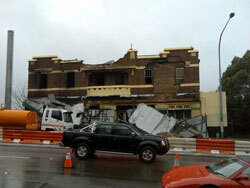 A rapid fire, that was believed to have been started by arsonists, tore through the White Bay Hotel at Rozelle. The flames quickly engulfed the 1915 built watering-hole icon. 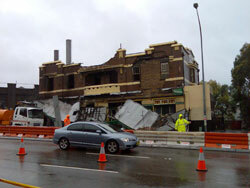 The clean up on the following morning created traffic chaos, as Saturday morning traffic was diverted off Victoria Road to allow clean up crews to remove the waste. 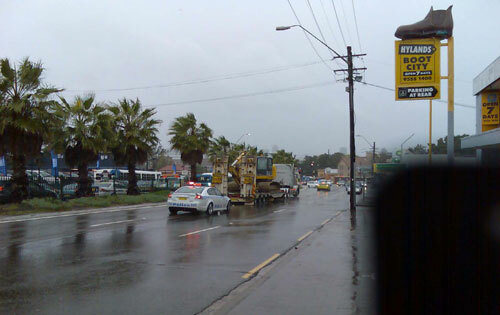 To quicken the clean up process, police escorted a bulldozer along Victoria Road to assist in removing the rubbish off the thoroughfare. Bow River Publishings correspondent, James Gray, donned a black armband, braved the rain and dodged the transport chaos to bring us these disturbing images of the Fall of the Bar. Thanks James. More information on the White Bay Hotel can be gained from Bow River Publishings Fall of the Bar, which is available for purchase from this website. Farewell to a National Icon! 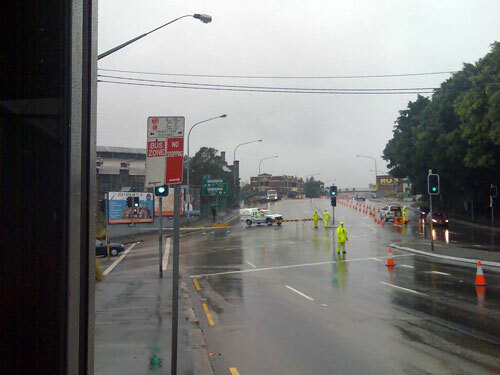 ABOVE: Victoria Road is closed to traffic on the inbound lanes to allow the clean up crews access. The burnt out building can be seen in the distance. Saturday 6 September 2008.